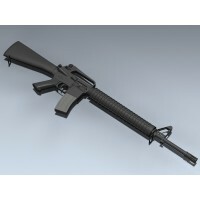 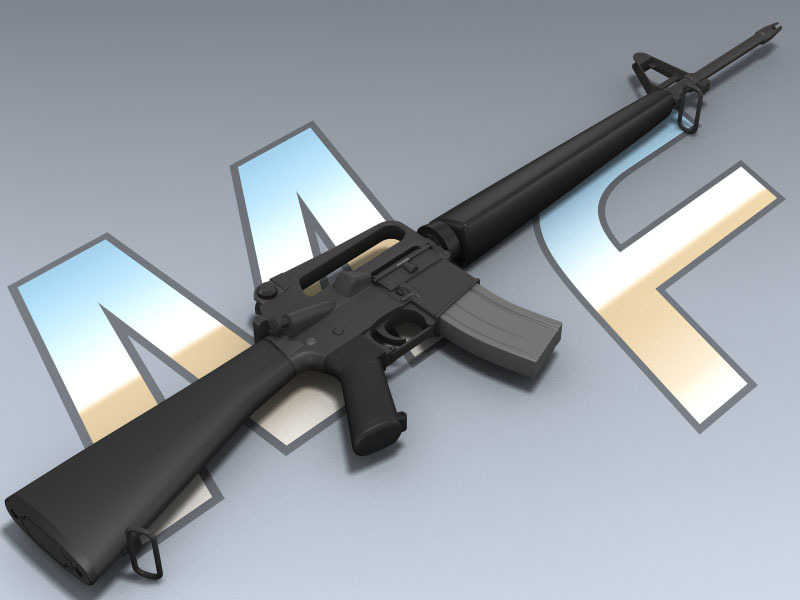 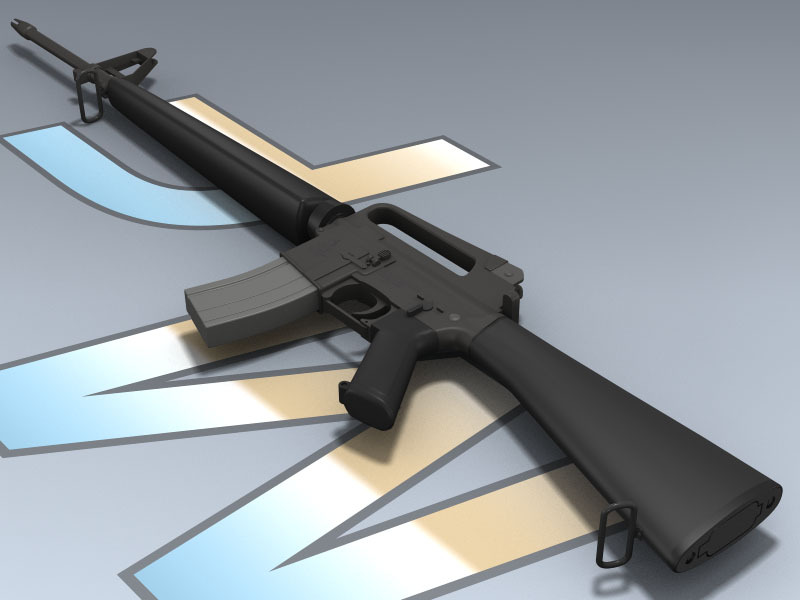 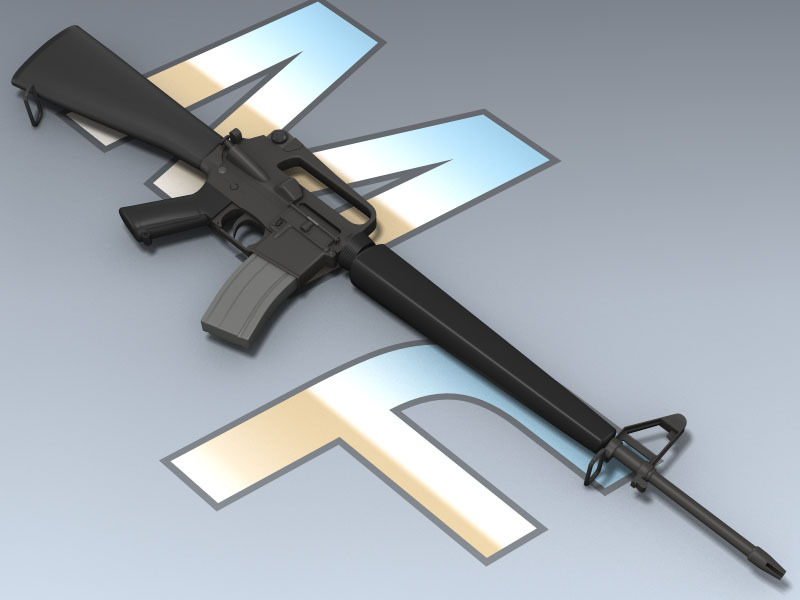 This is your basic Vietnam era U.S. M16 rifle. 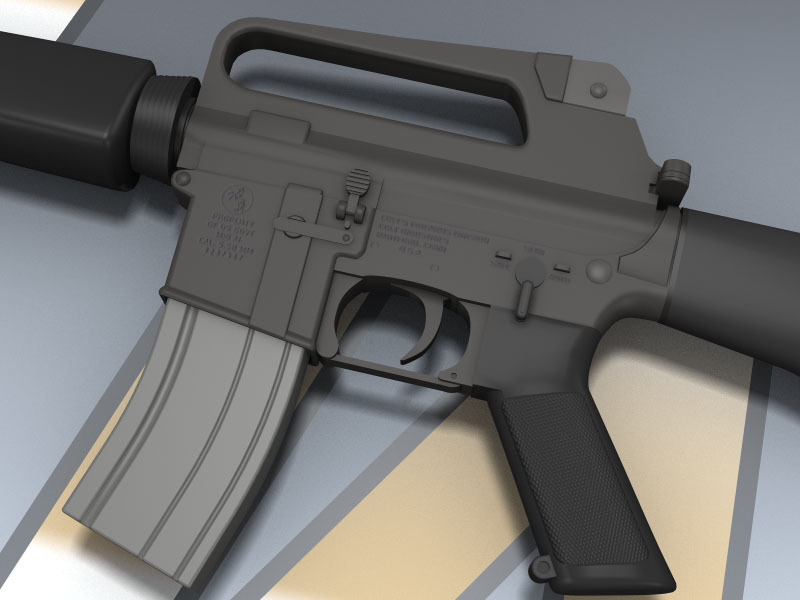 This firearm is no longer used by the US military. 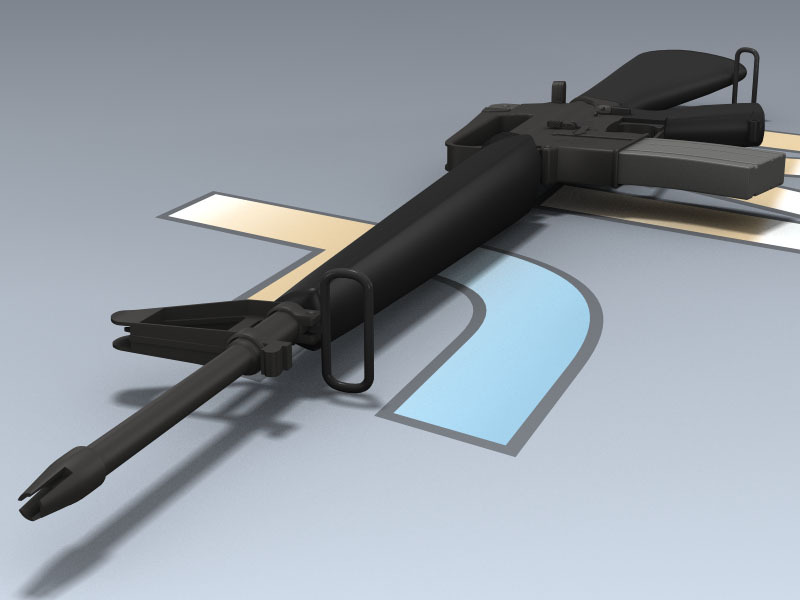 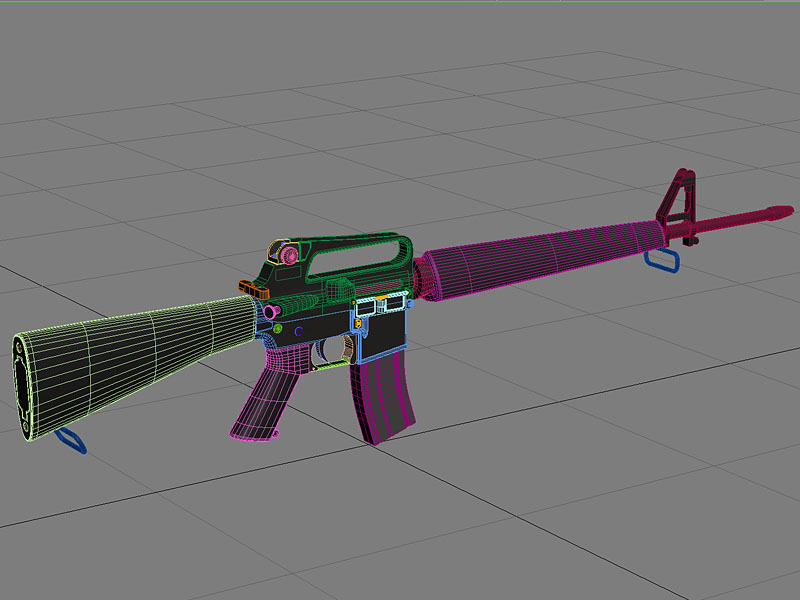 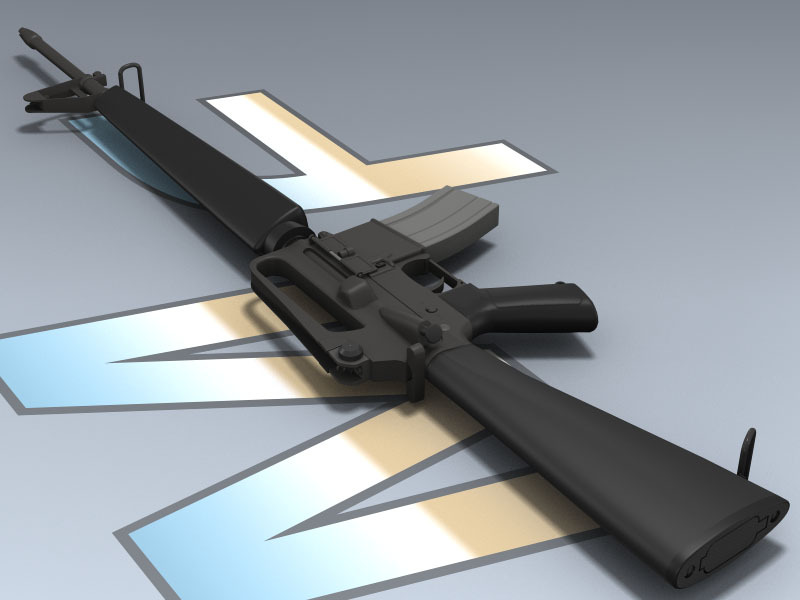 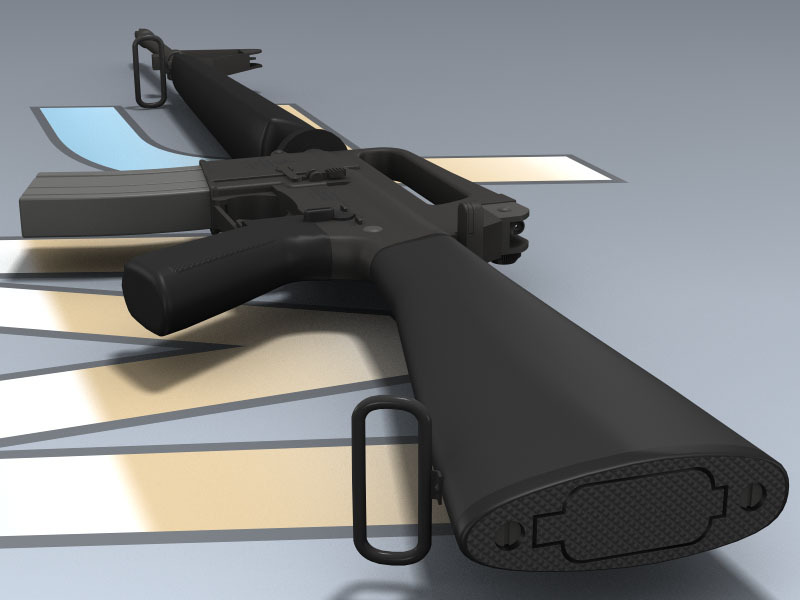 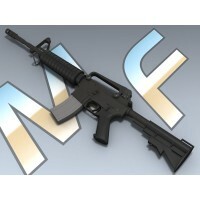 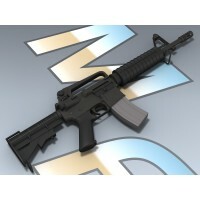 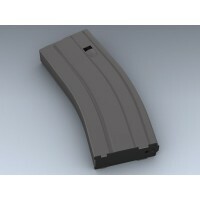 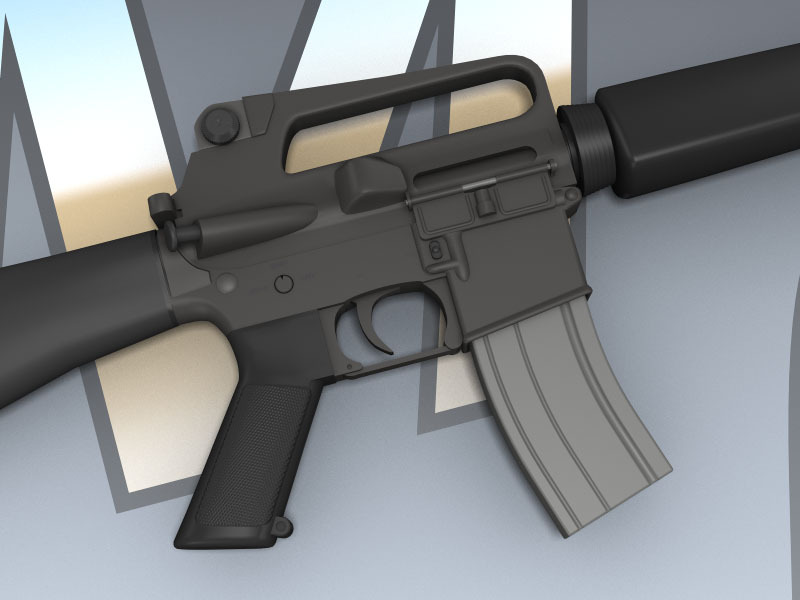 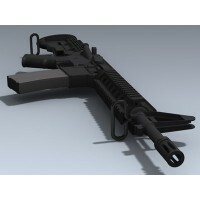 Features separate stock, barrel, ejector cover, sights, trigger, safety and receiver parts for animating.